On my transit through London, I had several hours to kill at London Heathrow. 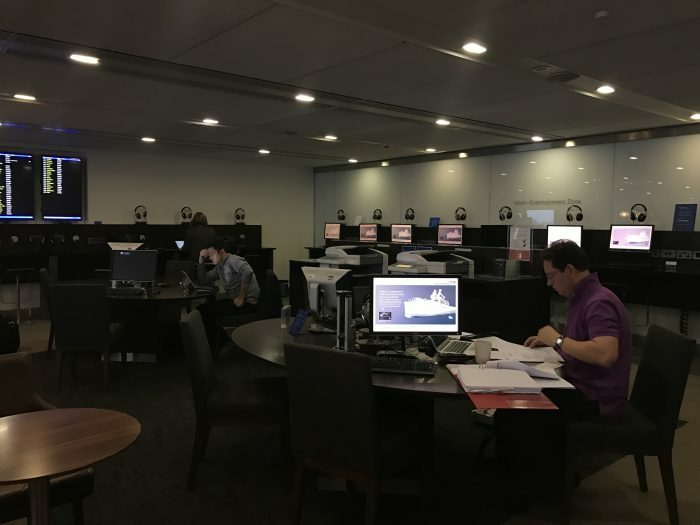 During this time, I was able to visit a few Heathrow Terminal 3 lounges: the Cathay Pacific Lounge, the No 1 Traveler Lounge, the British Airways Galleries Lounge, and the American Airlines Admirals Club. 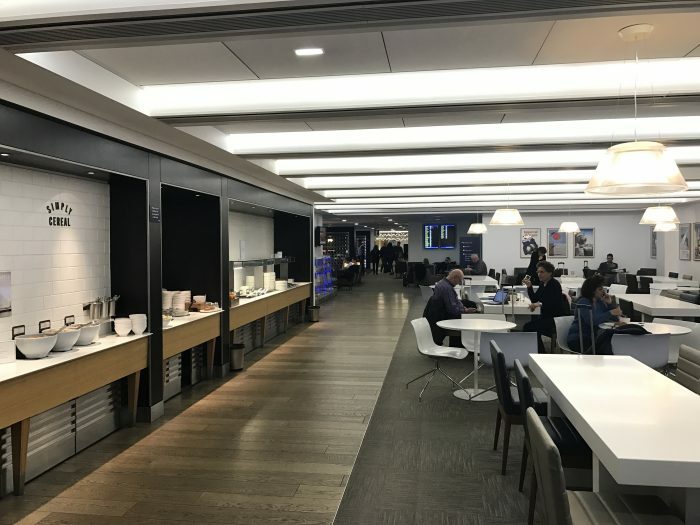 Here is my review of the 3rd lounge I visited, the British Airways Galleries Lounge. 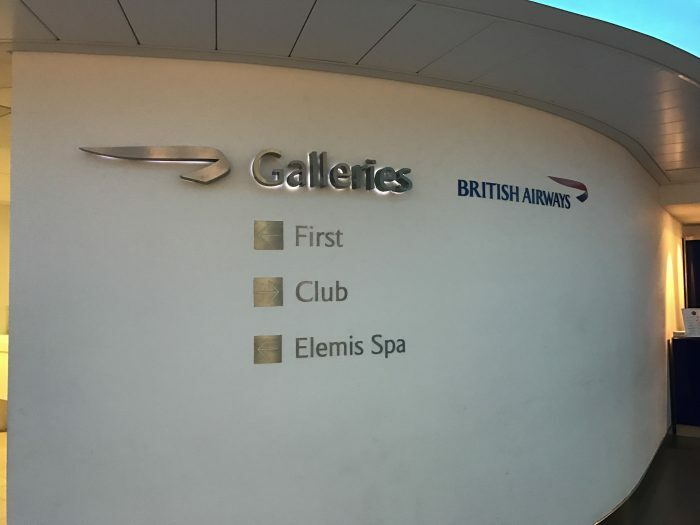 The British Airways Galleries Lounge in Terminal 3 at Heathrow was similar to the Terminal 5 North Galleries lounge that I had visited a few weeks prior, though it was smaller. This makes sense since BA has fewer flights departing from Terminal 3. Despite it being smaller, it was less crowded. Near the entrance to the lounge, there was a decent self-service bar with a solid wine selection. 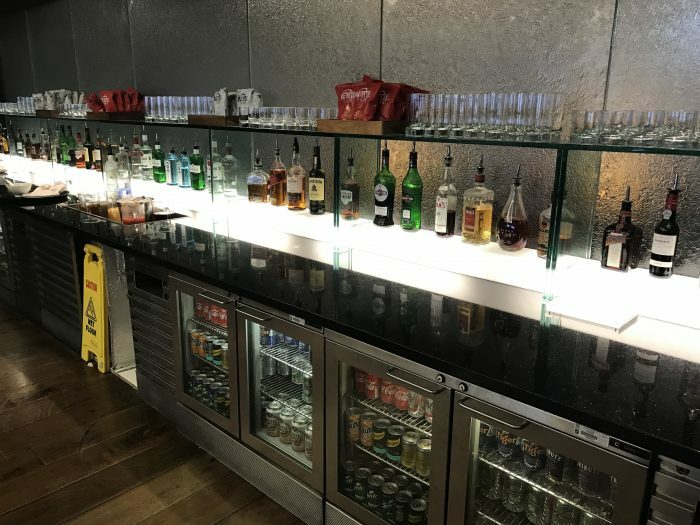 If there’s one thing that airport lounges tend to do well in the U.K., it’s the booze. Despite it being almost noon, the food selection when I arrived in the T3 BA Galleries Lounge was abysmal. 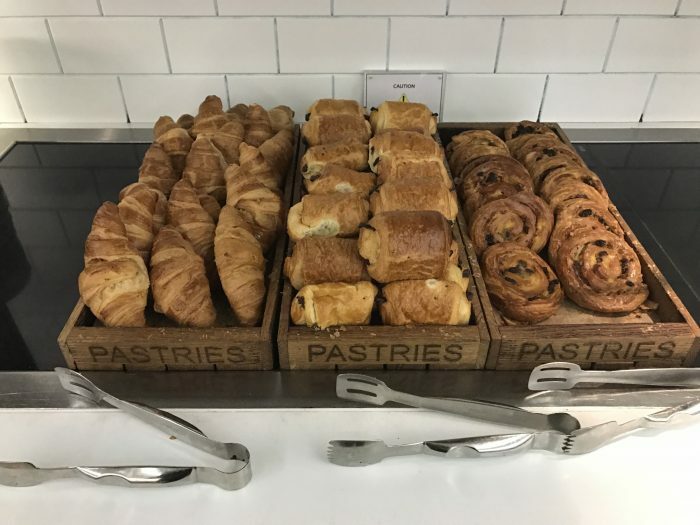 Aside from brief changeover periods, no lounge should have lulls in food service, and there certainly shouldn’t be a lull at this time a day. I had previously visited the T3 Cathay Pacific lounge, which had already transitioned over to lunch & had done so in rapid fashion. 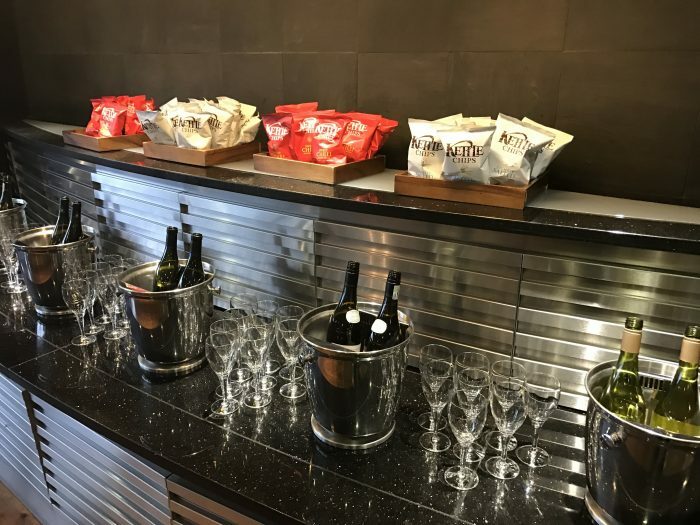 For the first 30 minutes that I was in the British Airways lounge, there was almost no food available, aside from some snacks & a few cold breakfast remainders. The snack selection wasn’t bad, but snacks do not make a meal. Just after noon, lunch service slowly started to trickle out. 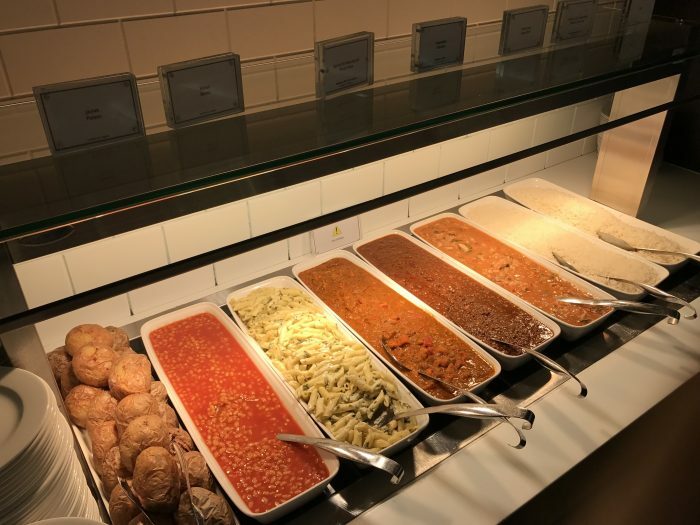 First, soup & salad were added to the buffet. Then there was some quiche. There was also a massive bowl of cheese. 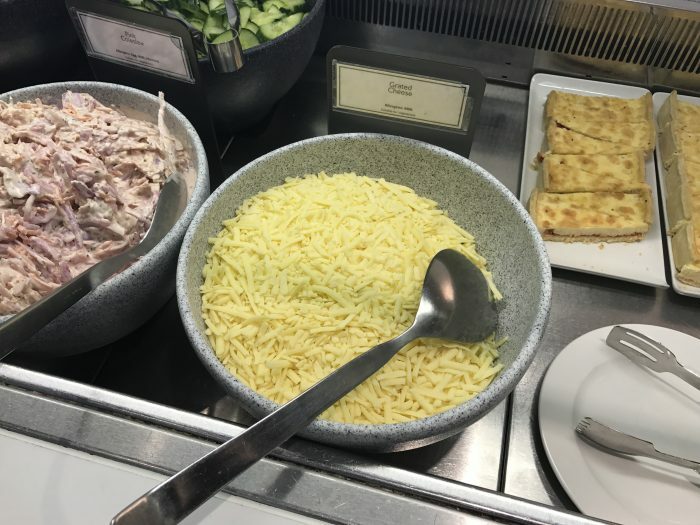 The Terminal 3 British Airways Lounge at Heathrow is the best lounge ever if you love shredded cheese. I had to try some. Hot dishes were brought out as well. When the full variety of food is out, the Terminal 3 British Airways Lounge actually has an pretty great selection. Just expect a fairly big gap in the service between breakfast and lunch. Along with some shredded cheese, I had to try some of the spinach marscapone pasta. It was actually pretty great, and I actually enjoyed it more than the mac & cheese I’d tried in the No. 1 Traveler Lounge. Beyond the food and drink, it was a stereotypical airline lounge. The business center was massive, and there was a spa & showers available. Given that London Heathrow is British Airways’ home airport, you might expect that their lounges would be spectacular. Unfortunately, this is not the case. While the food is good if you time it right, it’s not the showcase for the airline that many home lounges are around the world. Of course, British Airways is hardly a showcase airline these days. 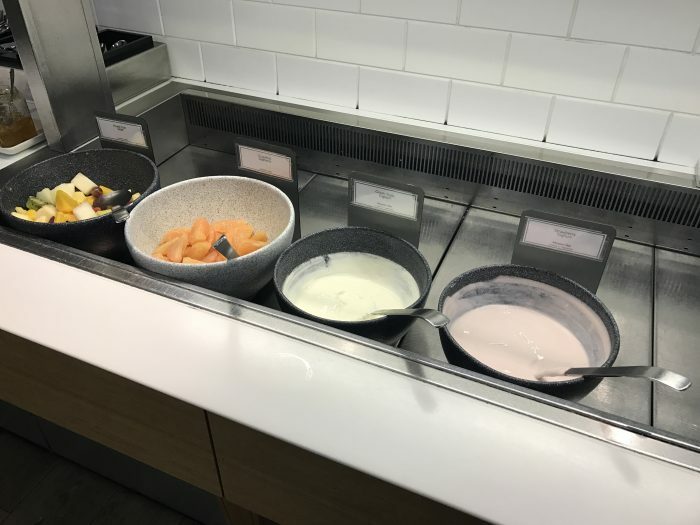 Unless you specifically want the food that’s served in the British Airways lounge, I don’t know why anyone would choose it over the Cathay lounge if they have access to both. Inspired to travel? Start making your plans now! 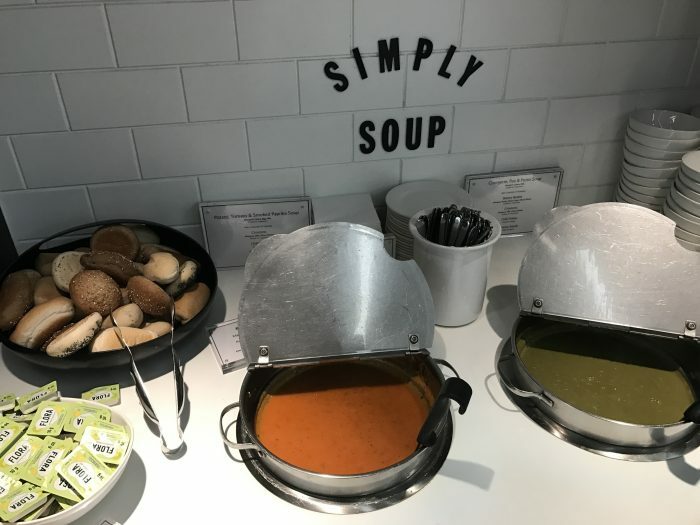 The post British Airways Galleries Lounge London Heathrow LHR Terminal 3 review appeared first on Everybody Hates A Tourist.